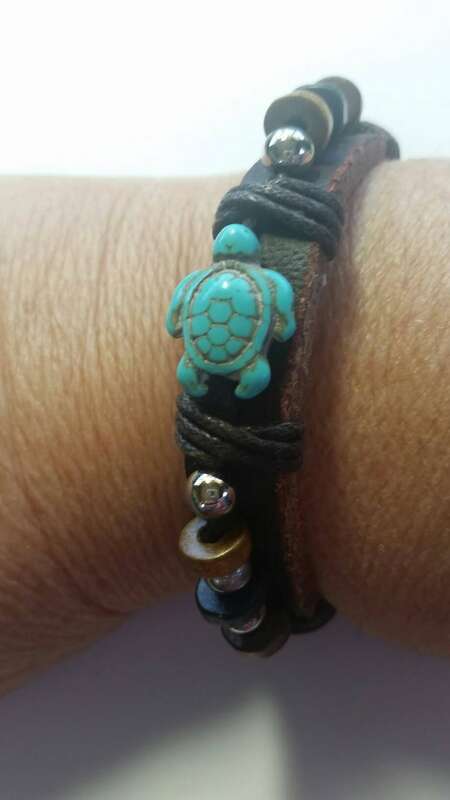 A leather strap with a turquoise turtle bead as a focal on the top of the bracelet. Additional silver and wooden disc beads accent this adjustable band bracelet. Fits size 6.5 to 8.0" wrist. It fits perfectly and I am happy with the purchase.